Last summer’s storm season got me out shooting lightning. While I was able to get some great shots, I was looking for a better solution than long exposures. Clouds didn’t look right blurry. After reviewing many of the triggers available online, I decided to check out the Nero Trigger (www.nerotrigger.com). There are two models offered: Nero Lightning Trigger (MSRP $117) and Nero Multi Trigger ($199). I went for the Multi as I began to formulate shots once I realized how much it could do. Disclaimer: I purchased my own Nero – this is not a demo or rental for review. I ordered online and my Nero Multi Trigger arrived the very next day! First impressions started well with shipping that fast. Free worldwide express shipping is included with each Nero unit. Everything was there in the box: Nero Multi Trigger, Nikon MC-30 cable and manual. To my surprise, the manual is well written and each of the ten functions are explained well. The unit doesn’t feel cheap in your hands. Yes, it’s plastic, but it seems to be well constructed. I’ll try not to drop it, anyways. There are two buttons on the side (C and M) for changing the function, plus a scroll wheel for adjusting sensitivity. On the other side – On/Off switch and jack for connecting the cable for camera or flash trigger. All functions and sensitivity are displayed on the LED strip on the top. The cable fits snugly into my D300 and the Nero slid into my hotshoe. With my son playing X-Box, I was able to quickly test the light and sound triggers! 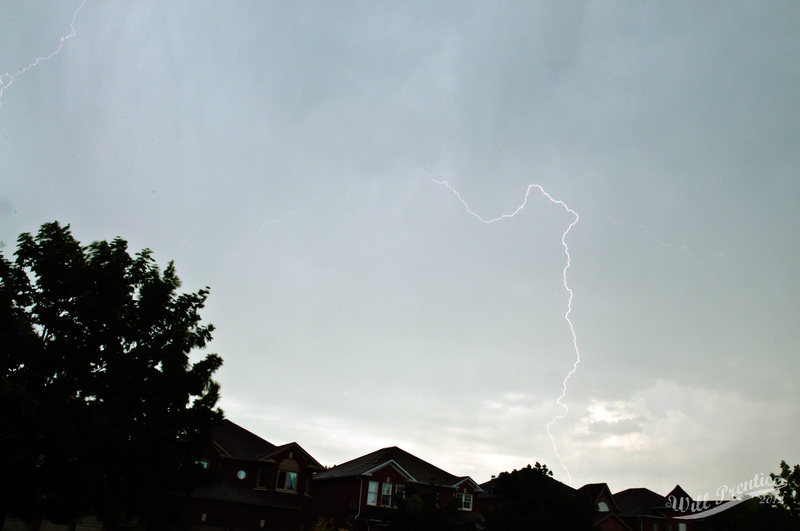 But I really needed to wait for a storm to capture what I originally intended for this trigger. As luck would have it, a storm came at the least opportune time: my son was a few kilometres away on his bike and I had to fetch him. And I had a meeting later that evening. I hooked up the Nero and mounted my camera on my tripod and went looking for angles. With the sensitivity set wrong, the Nero triggered my camera with every flash and I discovered the back window was too spotty from rain. Out the front door I went! Lightning Strike captured by Nero Multi Trigger hooked up to Nikon D300, Nikkor 16-85 DX VR, Vivitar Vari-ND at 4 stops. Then the rain came a little harder through the porch. In the interest of preserving all of my expensive electronics, I quickly retreated to a dry area. Just before I left for my meeting, I opened the blinds to the bay window in my bedroom, composed the image and then left everything turned on in the hopes I could catch more lightning as the storm moved south. This lead to another great discovery about the Nero: the cable is about 40 inches long, so you don’t have to leave it on the hotshoe. With the camera set where it was, I placed the Nero on the windowsill in hopes of getting an accurate trigger. No success, but it did show my how versatile the Nero Trigger can be. One other feature that drew me to the Nero – image review! 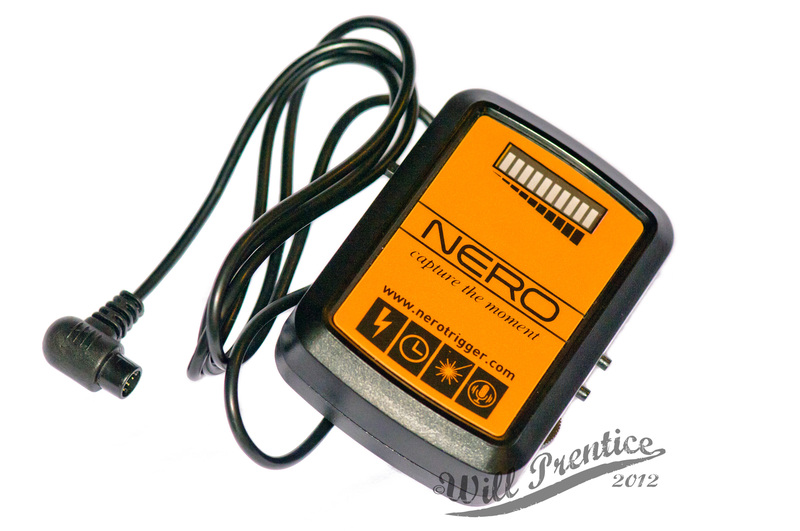 Unlike other triggers, you don’t have to turn off or unplug the Nero to review your images. This really helps when composing your images so you can review your cropping and also to check your histogram. The only negative I can think of is selecting modes, as you have to memorize or refer to the manual to know which glowing LED means which function. An LCD screen would be a great addition. Stay posted for updates on this cool little device. I’ve got quite a few plans for it. If you have any ideas or requests, please pass it along and I’ll see what I can do. PS If you decide to order your own Nero Trigger, please tell them I sent you! I just want to tell you that I am beginner to blogging and site-building and actually savored you’re page. Most likely I’m going to bookmark your website . You absolutely come with terrific writings. Bless you for sharing your web page. I just invested in the NERO trigger… and with both the Canon 1DX and 5DMKII, found an unacceptable delay in trigger response time resulting in ‘missed shots-period!’ Have contacted NERO.. in the hope they replace the device as it is clearly at fault. I found the same thing on my first tests with the Nero. Unfortunately, we didn’t have a lot of storms this summer to really try it out. Keep me posted on what Nero say – I have a feeling this is just how they are. I’m also going to try setting up my Halloween strobe in the studio to see if I can measure the time difference. Thanks and good luck!